There are currently 3,989 users on this website. After scouring this forum yesterday for virtually all the posts about removing a mildew/mold smell from some stamps/album sheets, I wanted to confirm with you all that my plan is the right route to take. I bought a large lot of stamps (looks like an estate sale collection) from someone on eBay for a cheap price, there are no major finds in here but to me it was well worth the price. The catch however is the old musty attic smell, it's almost fruity/perfumey but immediately makes me cough. There is no visible mildew or mold (that I'm aware of) but from my understanding from research yesterday is that if there is a smell, then it's most likely there. Even though these are mostly modern stamps (there are a few late 19th century and early 20th century stamps) and probably easily replaceable, I have no intention of throwing them out unless absolutely necessary. 3. Put stamps in a tupperware container next to a large flat dish of baking soda, seal them and leave them there for a few weeks. Does this sound like a good plan? If so, my question is, for the third step, do I leave those sealed stamps away from sunlight or in a position to get some sunlight (i.e. near a window, etc). Thanks for the advice. This is my first time attempting this. Everything but the Tupperware... that can provide a plastic smell actually. And baking soda has a pH of 9, making it alkaline. I wouldn't put it together with stamps. It may not have immediate impact, but could result in changeling color later in their 'life'. I would just take them out of the pages, store them in a fresh stock book. You can leave the pages slightly separated but standing it vertically, or placing a spacer between the pages. Leave it this way for a week or two, out of sunlight, and see if the smell dissipates. The main thing is to get them out of their existing pages. If they are used, you can also soak them. Remove any old hinges and remnants, and the water bath may also assist in removing some of the smell. Another idea would be to put them (soaked or not) into a desert mountain drying book (I love those things), and just set them aside for a month. Again, allow it to just naturally dissipate the smell. But don't introduce something new (like plastic) that can just trade one scent for another. I've worked with large batches of musty smelling stamps in the past and what worked best was to separate the stamps from whatever containers they are in, plastic, paper, whatever, and toss the old containers out. Take cardboard boxes, put baking soda into the bottoms, now put in a layer of shipping paper on top of the baking soda, put stamps to be deodorized on top of the paper. Shut, don't seal, the cardboard box and let sit for 3 days to a week in a dry area, stir the stamps around every day. Just did several pounds of older US stamps that had been stored in a basement for decades and which had picked up a very strong musty scent. A pound of stamps to a 2' x 2' cardboard box works well. Please keep us posted on your results. I'd agree with Loupy's method. I wouldn't be storing them in a new stockbook right away though. Wait until the smell is completely gone. Fresh air is good and if the colours aren't fugitive a quick wash will no doubt help as well. Thanks for the recommendations everyone. As for giving them a quick wash, should I soak in cold/tepid/hot water (and I assume I without any soap)? I'll avoid the tupperware. I'll give Loupy's method a chance (thank you for the recommendation though ClassicPhilatelist, I do appreciate it). The good thing is that the stamps aren't going anywhere so I'll keep them stored with Loupy's method for as long as it takes. My final question: How much baking soda per pound of stamps? And for that dry area, do you recommend dark or light areas? 1. I put the album, opened to empty pages if possible, outside in direct sunshine. A few hours of this will not harm the album or paper, in my experience. The sun's UV rays seem to kill off any mildew or other source of bad smells. I've left such albums outside in bright sun for hours, even an entire afternoon, with no harm. Weight down the edges of the pages so they don't blow around. Be sure the album is not under a tree or other source of problems. Keep on eye on it regularly. I've also done this with a group of empty albums I purchased overseas which came smelling of mildew (fine European mildew, I assume). After an afternoon in the sun, the smell was nearly entirely gone. As for as exposing stamps themselves to direct sunlight, we're always told not to because that would fade the inks. But I've found that a few hours of bright sun makes no difference that I've ever seen. So, while I'd hesitate to put stamps in direct sunlight to kill mildew, I think it's worth experimenting with. I suppose you could put a sheet of glass on top of a lot of stamps (on a table, let's say) and leave them in bright sunlight for a few hours. No rarities, please! Check and see if it's killed the smell. Might be a good experiment. If they're cheap, common stamps -- and if the inks do fade, well, then you know something useful, too. 2. Put the (opened) album inside a very large plastic storage box with baking soda to absorb the odors. Keep the baking soda off the album itself. I use the large, somewhat flat "under bed" type of storage box since it's large enough for a stamp album. By adding some sort of platform to put the album on, you keep it out of the baking soda which you will sprinkle pretty thickly on the bottom of the entire box before you add the album. It's probably best to keep baking soda off the paper. If any gets on the album pages, just brush it off. It will take a couple of boxes of baking soda, normally. The platform or supports to hold up the album can be anything you have around the house, but should be a few inches high and sturdy enough to hold the album. I use 3-4 pieces of plastic piping -- or anything you have lying around that will support an album but not take up much floor space in the plastic box you're using. Another smaller plastic box may work best. Leave the album for a week or so and the smell should have dissipated quite a bit. I've also experimented with anti-odor sprays. I don't use the kind with fragrance since that would simply add a new smell to the paper. Instead, I use fragrance-free sprays which kill odors without leaving any smell behind. Ozone sprays work but so do some others. I never spray the actual paper which might ruin it. Instead, I spray the inside of the box, or I spray crumpled up balls of paper towels just before putting the album inside. Some rags would work just as well. Seal up the lid of the plastic box and let the whole thing marinate for days or weeks. Both the sunshine method and the baking soda and/or odor-removing spray method work fairly well for me. For a postal stationery envelope, I used only a piece of neutral album page and air. The envelope and piece went into a loose cover holder and into a closet. Every three or four months, I replaced the old neutral album piece with a new piece. It took about 15 months, but the smell went away. I have had good success with just taking them off the paper as this seems to be the issue more than the stamps and the smell usually goes away if you just keep them in the open for awhile. Alright folks, a bit of an update for you all. Sat down today and finally sorted out the stamps from the mildewed stamp pages and older manila folder-esque stockbooks. Like my research suggested, a majority of the smell and problems came from those items. After I sorted them out with some fresh air I began to soak some of them to get the hinges off and to give them a good bath. To my surprise it took a substantial amount of smell away- it's still there but it's certainly not as bad as it was, and I haven't even used Baking Soda yet. Tomorrow I'm gonna apply the final step of airing the dried ones out with baking soda in a container and working on soaking the next batch. As soon as the first batch is done with the indirect baking soda treatment I'll come back with another update. Hopefully this thread will help someone else in the future should they come across a similar issue! Also one last addition to the update- this lot contains a large collection of Canadian stamps, modern U.S. stamps and quite a few German, Austrian and Chilean stamps. A vast majority would be the Canadian ones though- if anyone is interested in seeing pictures of the older Canadian ones (and enlighten me on what they are in the process) let me know and I'll post them here. I will have to remember this if I ever get some musty mildew smelling pages. "I'm wondering if carbon in gunnysacks might be better than baking soda..."
One product that is sold to eliminate orders (in homes, cars, etc) is carbon or charcoal, often in granular or powdered form, hence sold in bags of some kind. That might be worth trying as well as baking soda. Again, keep it off the albums and stamps, keeping in mind that some baking soda on an album page is pretty neutral and will not stain (so far as I've seen, anyway), but carbon will clearly stain both pages and stamps. So if you do try it, be careful not to spill any. You don't want charcoal dust on your pages! Ozone is reputed to be the best way to kill odors from tobacco, mildew, etc. There are ozone-producing machines which are used in car restoration but they require some care and safety precautions since you don't want to be breathing the ozone gas. Sprays with ozone in them are the alternative and seem to work pretty well. Available with cleaning materials. There is a huge difference between charcoal and activated carbon. Like most things in life, you get what you pay for. Charcoal is typically big, shiny chunks which has had very little processing. It is almost worthless in removing odors because it has very little surface area to be able to exchange gases. 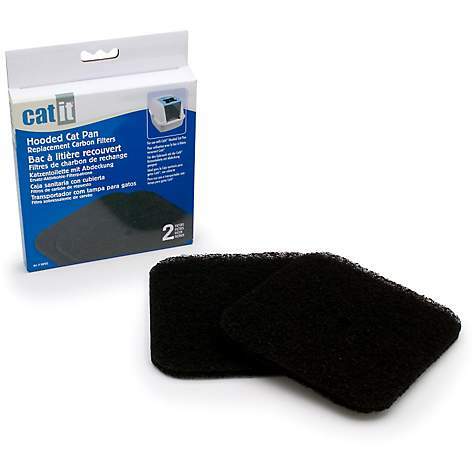 Activated carbon on the other hand, has been highly processes and is renowned for its ability to exchange gases. It achieves this by having exponentially more surface area. Also note that activated carbon comes in a variety of qualities, the higher the quality the more you pay. You can easily make a cardboard box with a fan (you can use a muffin fan found in most old computer cases) blowing through a filter like this to remove most all odors in a few days. The strategy here is to exchange gas, so air movement is important. And do not try Ozone. It degrades paper products. Your stamp could become very brittle and crumble apart. It took 0.97 seconds to lick this stamp.